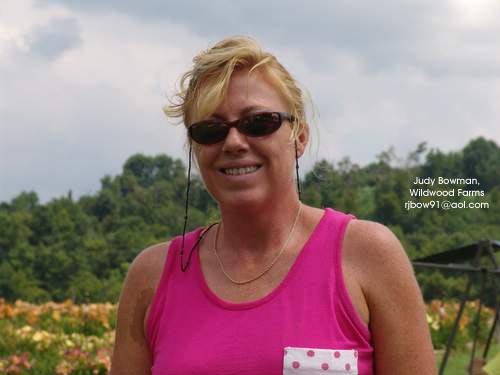 We drove a few miles south of Floyd, VA on Route 221 and found Wildwood Farms, where owner Judy Bowman has created a visual feast of daylilies and has also found a way to create a memorable experience for her customers. Gretchen and I spent several enjoyable hours there. 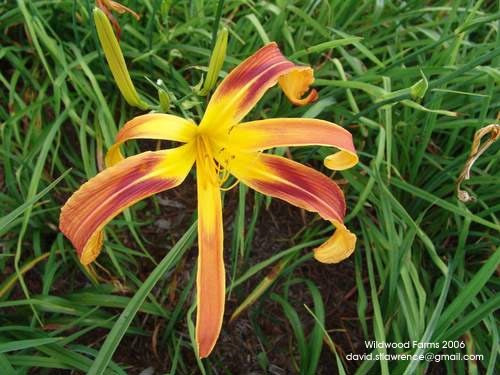 Gretchen searched through 1200 varieties in 30 garden beds to find the daylilies she wanted while I relaxed in a shaded swing seat or photographed daylilies that interested me. 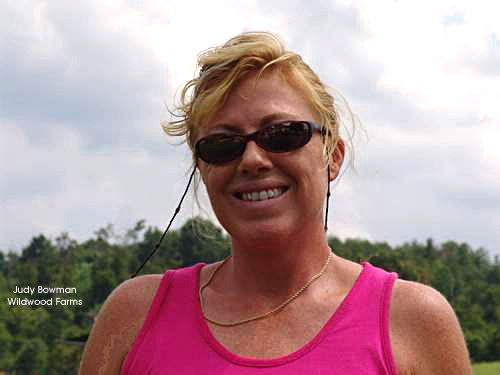 By the time we were finished, Gretchen had selected ten varieties for planting at home and I had taken photographs of a hundred other varieties that caught my eye. 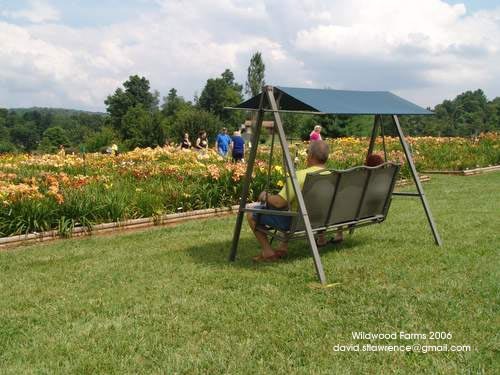 For more pictures of Wildwood Farms and their incredible assortment of daylilies, go to my Floyd County Scenes weblog. Make sure you visit the Wildwood Farms photo albums.